1. Meet witty, liberal arts colleagues who probably enjoyed working on yearbook committee, hated math and decided not to go to law school after college. 4. Uncomfortable with PR’s overuse of the word ‘leverage’? Leverage your fear of leverage in frank conversation with supportive peers during judgement-free social hour. 5. Free Wi-Fi at MHSCN conferences allows you to check work email or tout new knowledge on social media while colleagues back at the office wonder what’s gotten into you. 6. Exclusive access to online membership directory refreshingly includes no swipe left or right feature. 8. Proudly announce to Mom and Dad that through MHSCN, you’ve learned how to meaningfully engage KOL’s, bloggers and other key stakeholders by leveraging geo-targeted, multi-channel integrated marketing and PR campaigns that align with and support your brand proposition, yielding dynamic and actionable outcomes. 9. Three words: Stop. Career. Stagnation. 10. Love to proofread and edit for flow and style? Mark up tiresome “Top 10 reasons to join MHSCN” document with red pen and submit to ryan@davenpr.com. Wait for sarcastic thank-you response. 1. Discovering shared joy of rooftop lawn bowling not typical; networking results may vary. 2. Cross-functional experience typically involves meaningful collaborations with disparate work teams; always be truthful on your resume. 3. Worst nightmare work blunder example cited may or may not necessarily be drawn from author’s actual experience. Let's face it, it's not always easy to make time for professional development. As communications professionals, we always seem to be doing more with less, trying to get the work done with fewer and fewer resources. Independent consultants aren't immune either ­- clients expect a lot, for the lowest possible budget. Our personal lives are jam-packed as well, leaving little time for "extra" work-related activities. Yes, professional development often seems expendable. Before the doom and gloom gets too thick, I'm pleased to share that MHSCN is offering an opportunity to get a lot of bang for your professional development buck. 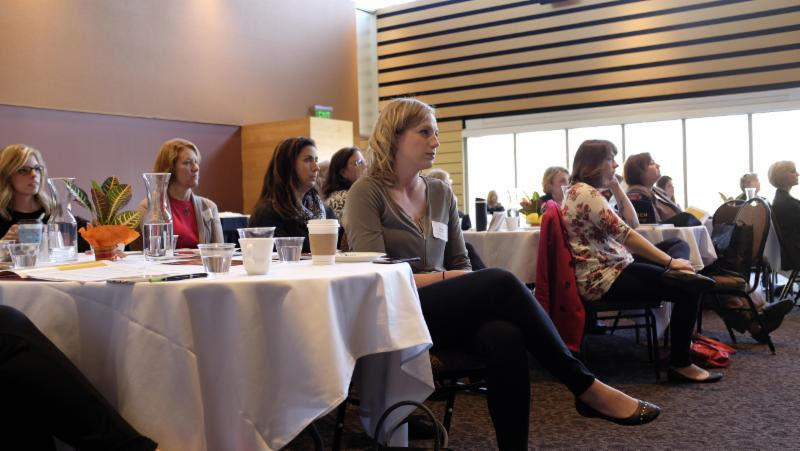 Our spring conference on April 27 offers not only an excellent, diverse program that will keep you on top of your game, it also features our annual awards ceremony, which is always a good way to see what the "best of the best" are doing and figure out what you can learn from them. It's also a great way to catch up with your peers, meet potential new clients and vendors, and maybe even get precious "team time" with your coworkers if you can get away together. In addition, this year we're offering a conference plus membership special that enables you to not only get the discounted MHSCN member conference rate, it also gives you a discount on your membership dues. Select the "MHSCN Member" level on the membership form, and fill in the application. In the discount code field, enter MHSCN2017. When you hit "next" you'll see that the 20% discount has been applied to the membership fee. Once your membership has been activated, you can sign up for spring conference and save with the members-only rate. So whether you're overdue for renewal, or have never been a member, it's a great time to take advantage of this package deal that will give an extra boost to your professional development as you take advantage of members-only programming and discounted events for an entire year! Act now to take advantage of this rare opportunity to make the math work in your favor! I look forward to seeing you in Minneapolis on Thursday, April 27. The MHSCN Award of Excellence recognizes excellence in health care marketing, communications, web-based strategies and public relations. Please submit your entries by Friday, March 17, 2017. Non-members pay $75 per entry. Winners will be announced at our spring conference Thursday, April 27, 2017. Learn more about the MHSCN Award of Excellence. Please save Thursday, April 27, 2017 for the MHSCN Spring Conference at the International Market Square in Minneapolis. Details on our excellent speakers will soon come your way. Get more details and register today. Welcome to the New Year with MHSCN! 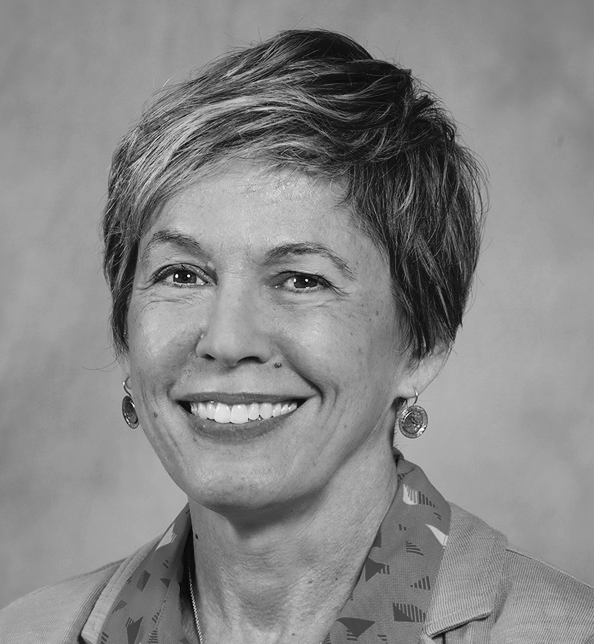 First, a brief introduction - I'm Mary Beth Schwartz, the communications manager at the Institute for Clinical Systems Improvement (ICSI), located in Bloomington. For more than 20 years, ICSI's medical group and hospital members, sponsoring health plans, and other stakeholders, have collaborated to improve the quality and value of health care. The Triple Aim of better care, better health and lower cost guides all that we do. As MHSCN's president this year, one of my areas of focus will be trying new things - kind of a Plan-Do-Study-Act (PDSA) process - to boost the value of your membership. We have several things in the works, including a new and more functional website, enhanced member's-only benefits, and more networking and learning opportunities. We have a committed, energetic board that's working hard to make 2017 a banner year for MHSCN! To start, we have our first networking event - a hands-on, healthy cooking class - coming up quickly, on Monday, February 6. Spots are limited, so read more about it below and register today! We're also in full swing putting together another excellent spring conference, set for Thursday, April 27 at International Market Square in Minneapolis. Watch for more information about the program and registration details in the near future. On the conference agenda will be our annual awards ceremony, where we recognize the excellent work of you and your Minnesota colleagues with MHSCN's Award of Excellence. New this year is a discount for multiple submissions! Nominations are open through February 28. Read more below, or visit our website for all the details. We appreciate their willingness to step up and help the organization move forward. We also have two openings: Treasurer and Communications Co-Chair. Please consider joining us in our efforts to bring Minnesota health care marketing and communications professionals together for networking, learning and fun. Contact me at mbschwartz@icsi.org to discuss either of these opportunities, or just to say hello. I look forward to seeing you at an event this year! As my term as MHSCN President comes to a close at the end of this year, I take pause to reflect on what this great board accomplished in 2016. Launched a new brand look for MHSCN. More modern and supportive of our work here in Minnesota. 1. Revitalize the look and 'feel' of MHSCN - check! 2. Instill goal setting as part of our personal and professional work - ongoing practice! 3. 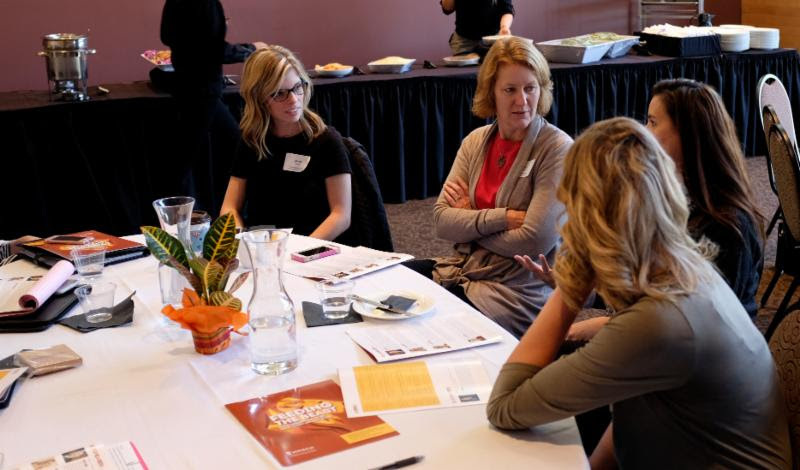 Create a greater sense of community to help MHSCN become THE marketing and communication channel for Minnesota healthcare marketing professionals - work in process! This vision may live on, or it may morph as we navigate change with a new board and new President. But the opportunity still exists for all of us to build this professional community. It starts with sharing ideas, resources and a common passion to revitalize healthcare. So in the spirit of sharing resources, I'd like to share an upcoming webinar from Forrester scheduled for December 13, 2016 at 8pm CST, Predictions for Navigating Change. Click here to register for the free event. I am grateful for all of you. Thank you for a fabulous 2016 and I look forward to working with all of you to building the MHSCN community. Are you interested in serving as a MHSCN Board Member? MHSCN has the following opportunities available. Please contact Angie Churchill if you are interested to learn more about the position(s) available at angela@redseaglass.com. Participants spent an unseasonably warm day networking with co-workers, visiting sponsor booths and hearing from a great line-up of speakers during the "Feeding the Beast" MHSCN Fall Conference held Thursday, November 3 at the Como Zoo and Conservatory. Diana Harvey shared her work experiences at St. Paul Ramsey (now Regions), a PR agency (twice), Planned Parenthood and the U of M School of Public Health. 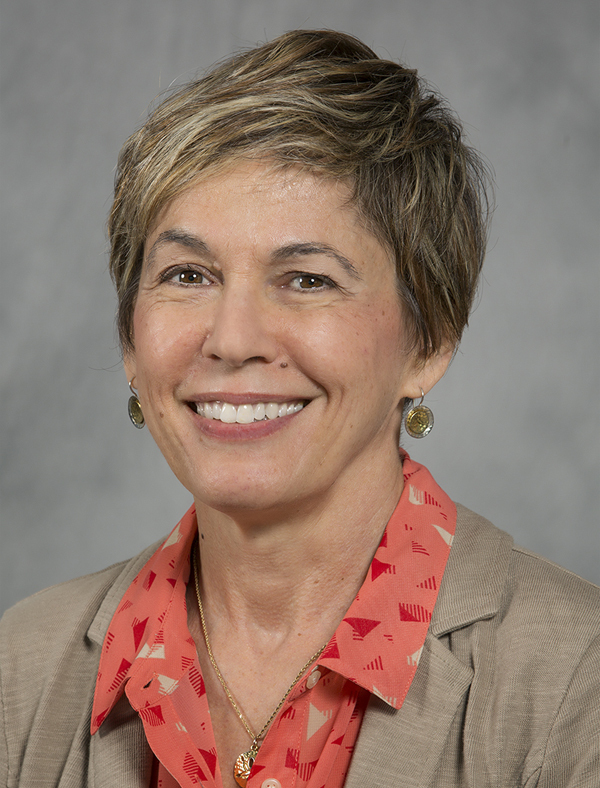 She also related how she became the University president's chief of staff/communications executive and her decision to leave Minnesota to become a communications and marketing professional for Duke University's Global Health Institute. Dale Cook and Terryn Lawrence discussed the ins and outs of creating and promoting Learn to Live, an online mental health care delivery service. This presentation highlighted how and why online delivery can work for mental health (and other possible diagnoses) -- and what the organization has done to market the service. Katie Johnson, vice president of marketing and communications at Lake Region Healthcare in Fergus Falls, "walked" conference attendees through a remarkable campaign driving community fitness and fun while leveraging her hospital's brand. In 2014 the "Walk to Waikiki" fitness challenge" inspired more than 200 members of the community to walk a collective 3,829 miles - the distance from Fergus Falls, Minn. to Waikiki, Hawaii. Katie and her team's campaign garnered critical media coverage for the health system and generated so much interest that planning is now underway for Lake Region's third walking fitness challenge to be held in January. Scott Nelson, a certified effectiveness coach with Clarity Central provided insights on three zones of human experience: the comfort zone, the risk zone and the panic zone. Understanding these zones, Scott says, is critical in leading organizations and teams through change. From resistance, through exploration and finally commitment, Scott shared critical strategies for leading teams through change. MHSCN board member Andy Jacobson interviewed our featured speakers to give some insight onto what to expect at Feeding the Beast. Take a listen! Thanks to all who made this year's MHSCN Hops Scotch networking series a success! The series wrapped up Sept. 22 with a high-energy evening at Du Nord Craft Spirits in South Minneapolis. Attendees got to know each other by playing "Two Truths and a Lie," with Du Nord gift cards awarded to the best sleuth and best liar. 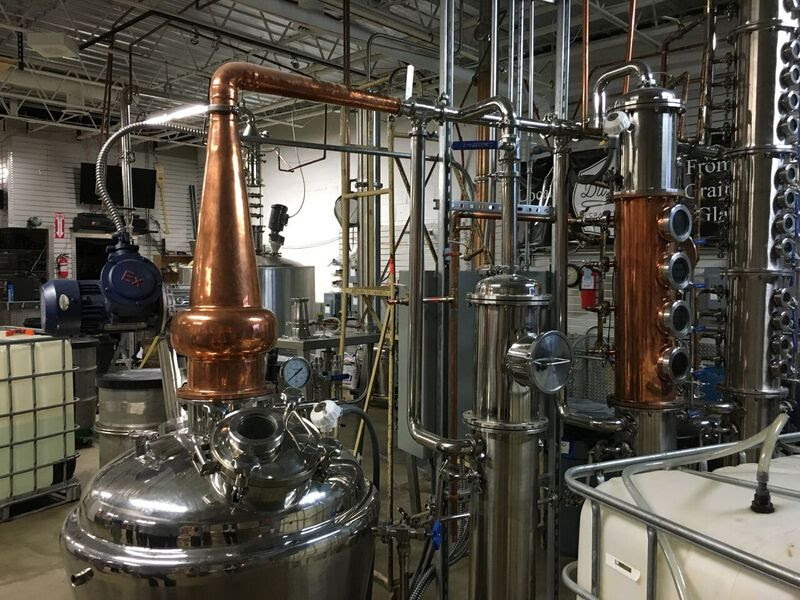 A unique menu of craft cocktails made with the distillery's vodka and gin were a highlight, as was an in-depth and entertaining distillery tour. It was great to have a mix of MHSCN board members, long-time members and new folks get together. Previous Hops Scotch events were held at Community Keg House in Northeast Minneapolis and Lake Monster Brewing in St. Paul. 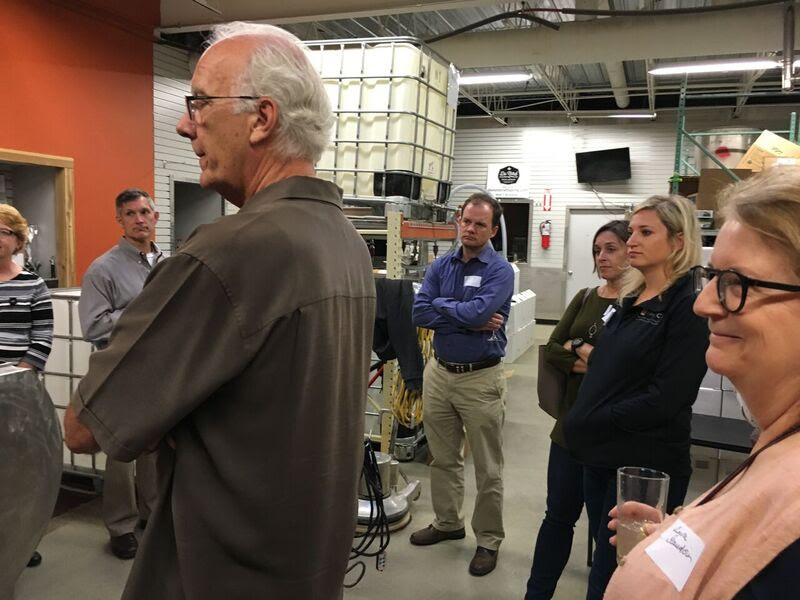 A combined Best Peer Mixer Ever event at Summit Brewing in July was a great success, drawing approximately 80 attendees from MHSCN, IABC Minnesota, PRSA and MWMC. If you have ideas for 2017 networking events, please contact Jenna Anderson, jenna.anderson44@gmail.com, or Diane Rose, dianerose15@comcast.net.